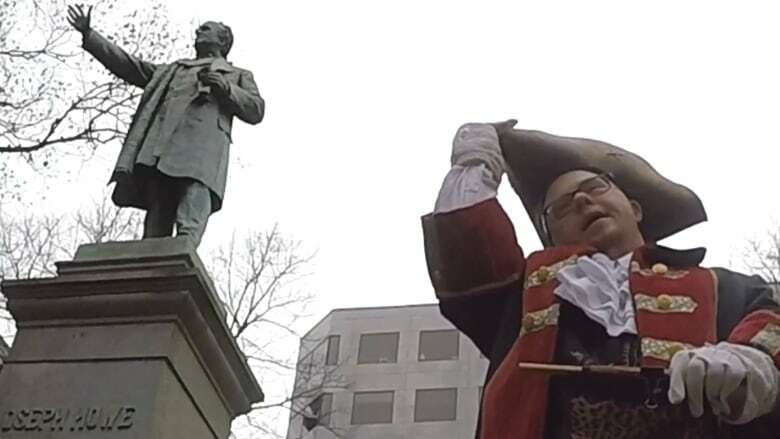 A Nova Scotia man with Down syndrome has been named the town crier for Olde Halifax, a part of the city covering Districts 7 and 8. 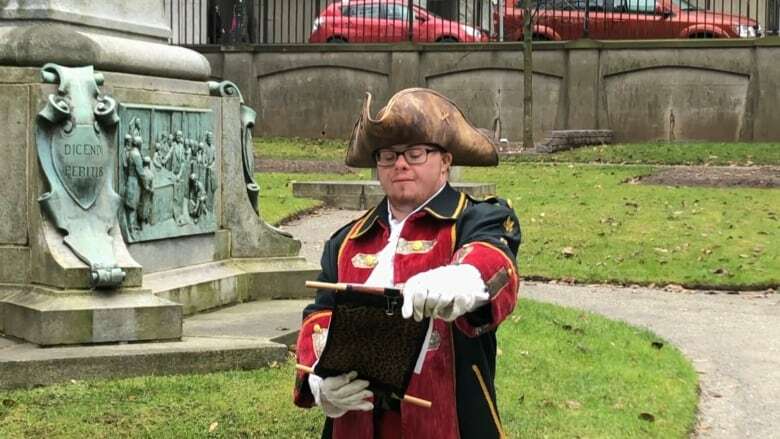 A Nova Scotia man with Down syndrome has been named the town crier for Olde Town of Halifax, a part of the city covering Districts 7 and 8. Will Brewer learned the news Sunday at a Canada Day pancake breakfast. "I feel really great right now," he told CBC's Maritime Noon. Greg Fenwick, who represents Sackville. Bob Raoul, who covers Spryfield. Jamie Rouse, who represents Eastern Passage. Coun. Waye Mason, who represents District 7, said the town crier appointment doesn't have an end date. The position doesn't come with any compensation, but area councillors try and help with costume expenses. Brewer is believed to be the first town crier in Canada who has Down syndrome. Brewer said he has served as the town crier for some past events in the city, such as a Natal Day parade, the mayor's tea, and even last year's Pride parade where he walked with Prime Minister Justin Trudeau. Renee Forrestall is a friend of Brewer's and former teacher of his. She was running late for the pancake breakfast ceremony when she received a call from Brewer. "Get here fast," Brewer told her. "I'm emotional. I'm not going to tell you why." Forrestall wondered what was going on, but quickly realized it was good news when she saw him. "He just ran into my arms and said, 'I'm in! I'm in!' And we both cried," she said. Forrestall said Brewer is well suited for the position, describing him as intelligent, articulate, compassionate, friendly and confident. Brewer has long been an advocate for the Down syndrome community, but he says the town crier position will help him expand his reach. "Now I get to not just speak on behalf of my friends, but also the whole community," said Brewer. Laura LaChance, the chair of the board of directors of the Canadian Down Syndrome Society, knows Brewer personally. She thinks he'll do a great job and is pleased with the message the appointment sends. "I think it's a wonderful thing for a municipality to take leadership in showing that people with Down syndrome can provide value, do have skills and can give back to their communities," said LaChance.